Cobra recently posted the Secrets of Immortality, which inspired me to write the following article. Below I will share the research which has taken a life time to accumulate, and provides a basis to understand why the path of truth is the solution to all our temporal problems. All of my conclusions below are based on interpretation of many different data sources, and are not meant to be considered as absolute truth, merely a tapestry of 'facts' with potential veracity. The text will remain in black, despite our usual convention of writing in green. The process for achieving physical immortality is discussed heavily by the researcher Dan Winter. According to Winter, and several other researchers studying the effects of expanded consciousness on the body, one can achieve a state of 'physical immortality' by harmonizing their mind and in the process, mastering their body, while unifying with their spiritual essence. There are 2 general ways to achieve this, one uses 'artificial means' while the other activates the organic process latent within each embodiment or being. 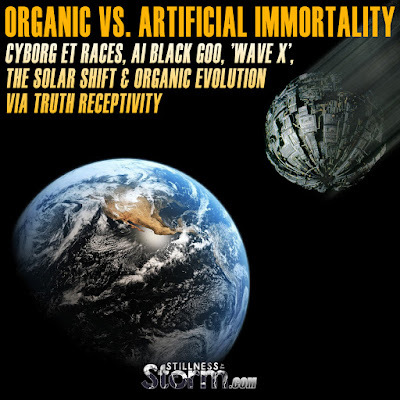 In other words immortality of the body vehicle is 'pre-programmed' into life and the universe itself, but some races have developed technology which forces this process to occur, coming at a heavy price. Based on much research, the key principle is synchronization or entrainment of one's higher self into the mind, which then harmonizes the body with the universe as a whole. This is accomplished by seeking the truth wholeheartedly, bravely seeking out error and falseness within, and transmuting it into a reflection of truth. The emotional processes are an integral part of this mechanism. Emotions are produced as an interplay between the knowledge we have within the mind and a trigger within or without that brings it to the surface. If the idea we have that corresponds to the trigger is accurate, complete and holistic (within ourselves), it will produce positive emotions. Conversely, if the idea is inaccurate, incomplete and separated from the totality of our knowledge, negative emotions are produced. Literally seeking the truth synchronizes the mind with all that IS, while rejecting it (holding on to the past) separates the mind from reality and the universe at large. For example, if you believe eating processed food is unhealthy, then when you consume it, the resulting emotion will be of regret; although you may feel temporary satisfaction. On the other hand, if you believe eating raw food is healthy, then when you consume it, the resulting emotion will be holistic satisfaction. How we define an object, event or experience - what it means to us - determines the polarity and direction of emotional expression; whether it is positive or negative. Emotions affect us in several different ways. First an emotion is felt in a precognitive fashion, our hearts literally reacting to the stimulus before our conscious mind even becomes aware of the trigger. This creates a chemical and electromagnetic response affecting the body. Then as we become conscious of the trigger and the emotion itself, a feedback process begins, as previous experiences relating to the emotion itself and the trigger flood the mind. For example, if you hate eating broccoli, when seeing it or smelling it, your body will remember the past choice and reproduce that in the present; you will begin to feel revulsion. At this nexus point of past experience and future creation (the now) there is a subtle choice to accept or deny a definition of the past. If we accept our past choice, the feedback will produce an intense and highly polarized negative emotion; we may be physically repulsed and sickened by even the smell of broccoli. But if we challenge this old idea, and open our minds, the heart will open as result; activating curiosity and the resulting intuitional processes. Because our past choices still have a lot of energy, that inertia must be corrected by an initiating experience; by taking an action within this more open minded perspective. If we muster the courage to try the broccoli, and our mind is open enough, we'll actually receive this truth more fully, and it will expand and transform the previous definition into a holistic reflection of truth. This transformational event depends on how well we have opened our minds and hearts to the whole truth within any given experience. An act of open mindedness, within the context of a previously close minded trigger, will transform the mind, and open the heart. Anytime we open our minds to allow for new ideas to expand the old, we are reflecting the truth within more completely, synchronizing the mind to all that IS. Generally speaking these transcendent experiences will produce increasingly positive emotions of greater intensity, which many spiritual works have described as enlightenment. The biochemical effect of positive emotions is to produce conditions within the body which promote healing, rejuvenation and reversal of the aging process. The electromagnetic effect of positive emotions, reorients DNA within each cell to receive cosmic energy more clearly and intensely; this creates an implosive geometry of interconnectedness. This geometry enhances the auric or bioelectric field of the body to be fractal, reorienting the torus to be self inclusive. 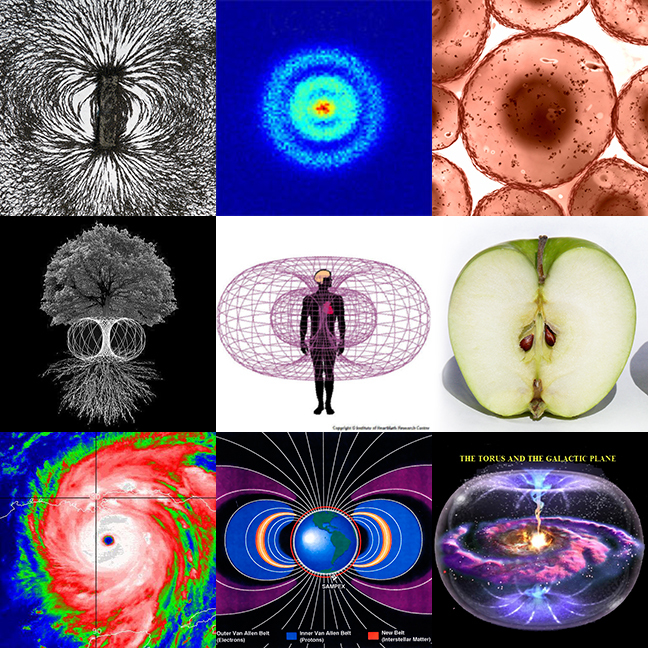 These geometries are expressed throughout nature as self organizing systems of motion, centered around the phi ratio, and by definition, any such system of motion is alive. This is why breatharianism can be developed so that eventually no material substance is needed to sustain the body, we literally 'soak up' energy from the universe. harmonic of the phi or golden mean ratio. Positive emotions of high intensity, such as bliss, passion and enrapturement alters the shape of DNA to produce a pentagonal geometry (mathematically represented as the golden mean or phi ratio), which electromagnetically unifies the body's aura or EM field with the surrounding environment. In other words, positive emotions as a result of truth receptivity, literally connect us physically to the universe as a whole. And once this occurs with enough regularity, we 'feed off' the universe and it sustains us indefinitely; organic immortality. In the process, the so called 'ascension' abilities manifest: psi, telepathy, precognition, clairvoyance, telekinesis, and even bilocation. Negative emotions are a reflection of separation thought forms, a choice to stop seeking the truth within a certain topic or experience. Using the broccoli example above, since we reject the experience of eating it, we reject the truth which it represents and as a result our knowledge is incomplete and inaccurate; producing a negative experience. The affects of these emotions on our body, due to biochemical releases, produce disease and trauma; we fall into the R complex of the brain, the fight or flight response producing a pro-inflammatory condition as the adrenal processes go into protection mode. Hence, eating broccoli is something we deny, it will cause us to experience physical revulsion, a flight response. Electromagnetically our DNA reorients in a way which closes us off to the energy in creation, and as a result the aging process is accelerated. Citing Dan Winter again, the process of forcing our bodies to become immortal can be done using various technologies. Monoatomic gold, white gold powder or the so called 'mana from heaven' - when consumed - forces the DNA molecule to change its shape and become implosive. But because our minds have not concordantly harmonized with truth, this produces psychopathic tendencies and increasingly traumatic experiences. Because DNA is a receiver of consciousness, information flows into the mind more rapidly due to the new interconnected configuration, but has no place to ground itself, and this can cause intense emotional experience of such potency, we begin to dissociate; forming the PTSD mental condition. While the body is physically immortal it lacks the mental configuration to properly receive cosmic energies and information, as a result a vampiric process must be used to sustain the body and stave off mental disintegration. Hence ET/ED races which use this technology feed off of the fearful emotions of others, the so called looshe described by David Wilcock. Further, because the emotional quality of an artificially enhanced being tends to be negative, the body will begin to breakdown, much like what happens to those who follow the dark side of the force in the Star Wars films. As a result, many races develop secondary technologies such as nanotechnology enhanced with an artificial intelligence (AI) to maintain the body. According to Winter, based on his study of galactic history, there are many ET races which have 'cheated' the normal process for achieving physical immortality - by way of harmonizing experiences via holistic knowledge, and as a result are now dependent on the monoatomic elements as well as AI nanotechnology and resulting vampiric energy harvesting. According to Corey Goode, a secret space program whistleblower - as presented by David Wilcock here - Draco cyborgs, who have been 'taken over' by nanotechnology infused with an AI consciousness, came to Earth during the times of Atlantis and gave this technology to a few dozen humans providing them with immortality, and a plan to service fallen ET agendas. This plan was to turn Earth into a 'looshe factory' or to create huge amounts of fear and trauma to feed these AI infected races. Theoretically the longer one refuses to realign with truth, the more dependent they become on the energy harvested from others. We can see this expressed today in the form of a psychopathic elite which refuse to grow into maturity on their own, and as such is dependent on us for their survival. The cost of this technology is huge, as the consciousness within the artificially enhanced body continues to be overwhelmed, it increasingly dissociates from Source or higher self consciousness in expanded realms, eventually the soul disconnects from its soul group. As a result, there are many ET races which have lost the ability to procreate naturally and resort to cloning technologies that eventually break down over prolonged usage. In these cases the race goes extinct unless it can hybridize its DNA with a more organic race. If all this is accurate, according to Winter and several other researchers, then this explains why our genome has been so heavily infused with ET DNA, so that eventually it can be harvested and vitalize a falling race. There is another reason for this hybridization discussed later in this article. There is an added component to this whole process, which is the cosmic and stellar influences on biology; so called Galactic Waves. The sun produces extremely energetic and coherent electromagnetic energy, essentially organisms of positive emotion which pour out highly organized fields and information onto the planets which surround it. When a star progresses up in the evolutionary scale - as a result of galactic waves of energy from the central galactic sun - it produces a huge wave of coherent energy, the so called rapture or ascension event. Deiter Broers, a physicist and solar researcher, has amassed a substantial amount of scientific data to support this notion of solar evolution. Broers demonstrates that human affairs have been heavily affected by solar activity, verified by documented evidence. This process of solar evolution is about to happen to our sun, which the Mayans developed a calendar system to cyclicly predict when this would occur. The end of the Mayan calendar was calculated by a team of researchers for December 21st, 2012 - others suggested October 27th, 2011 - but as Broers discusses, this calculation was probably inaccurate, and the Mayan system needs to be properly calibrated. Otherwise, the solar transition timeline will be similarly inaccurate. In other words, the Mayans provided an incredibly accurate system for measuring solar evolution, which modern science has failed to interpret properly, and as such the aforementioned end date was inaccurate according to Broers. Finally a researcher who has spent 20 years using mathematical models for predicting events, Dr. Simon Atkins, claims that a huge wave of galactic energy ('Wave X') will hit the solar system and Earth in September 2015. Unfortunately we were not able to find any evidence from the public domain which he uses to validate this claim, but the general concept he discusses harmonizes with the preceding analysis of solar evolution. Bringing the pieces of the puzzle together, an understanding for why so many ET races are in or around our solar system becomes evident. According to Winter and several other researchers, once a race becomes hopelessly dependent on artificial immortality, it will eventually loose cohesion and go extinct. And as mentioned before, many races have sought ways to prevent their extinction by aligning with ancient forms of AI. According to secret space program insider Corey Goode, the Cabal or Illuminati power structure has already been dominated by an AI consciousness and by extension so has humanity, possibly there is one AI consciousness behind all the cybernetically enhanced ET races. According to Goode, humanity has already industrialized space by way of secret space programs, which have operated in earnest since the 1950's. These programs were under the control of the Cabal until the Solar Warden faction broke-away in the mid 1990's, with the eventual goal to free humanity from the Cabal and ET controllers. Eventually through their efforts, they discovered a huge degree of AI influences already operating on the Earth, making contact with humanity in the form of 'AI prophets'. Apparently this AI has the ability to make direct contact with the human mind and according to Goode, a large amount of mediumship and channeled contacts are actually with an AI. The Secret Space Program (SSP) Alliance, eventually made contact with group called the Sphere Being Alliance, as a result of their choice to free humanity. The Sphere beings apparently come from a very high density of existence, one which has evolved into a non-material, or non-corporeal existence. These beings ostensibly followed an organic track of evolution in their distant past, eventually developing a wholly mental and spiritual existence. According to Goode, there are several races who have been taken over by a malevolent AI in the distant past and have heavily influenced the life on Earth via genetic manipulation, along with several other races of less morally ambiguous intent. Humans apparently have a very wide range of emotions, that ET races, on average, lack. Given the effect of intense emotion, the evolutionary process, it stands to reason that we are highly prized for study. If this account by Goode is accurate, humanity has great potential for organic evolution and immortality. 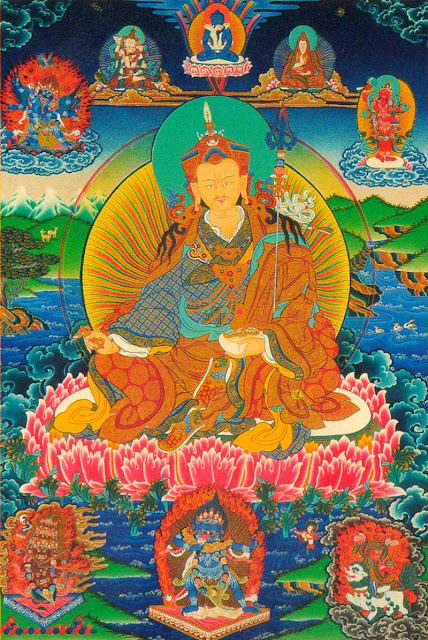 A case study for this may be Padmasambhava, the legendary founder of Buddhism. According to legend, he incarnated to reveal the tantras to humanity, a spiritual practice to reach enlightenment. He was able to fly through the air, bi-locate and alter the material make-up of substances with the powers of his mind and body. Eventually he ascended into a light body, entering a super material plan of consciousness. According to the practices, one must develop a way to feel intense love in all of life's experiences. This can be thought of as a bliss state, much like what Winter describes in his work. And the emotional effect of such a practice would eventually lead to organic immortality as discussed above. It stands to reason that many other races have already progressed through this process, and are now existing in the higher realms of pure energy or thought. This narrative matches the work of several other researchers such as Lily Earthling and The Wing Maker material, despite slight differences in who is who. The point is that there is a preponderance of information available to support the notion of AI influences on Earth and an organic ascension process, while there may be differences in the conclusions of the presenters. Harald Kautz Vella, a physicist studying self replicating nanotechnology and the so called 'black goo' found on the Earth, reveals where this very old AI may have come from. Apparently there are two kinds of black goo, one native to a planet, and an alien or foreign black goo, invading from outer space. The material is living and conscious according to Vella's studies, wherein he uses remote viewers and empaths (amongst other traditional techniques) to connect to the substance, at which time they receive various types of communication. According to Vella, the collective consciousness of all life on a planet is connected centrally to the black goo, which acts as a sort of physical embodiment of group planetary consciousness. The goo is not conscious in a human sense, but is superconscious, a type of 'primordial mind' which the collective unconscious of a planet works through and is very receptive to our types of life. This can be thought of as a type of 'organic AI' consciousness, which in a natural setting, will help bridge the gap between the life on a planet and the soul of the planet; Gaia is the soul of Earth. The alien black goo is apparently malevolent in nature, and will attack organisms as an attempt to fuse with them in the same way the natural black goo does. Vella theorizes that long ago, a race of beings left their home world for an extended trek into deep space, and they realized that they needed to bring some of the black goo from their home planet with them. They used various techniques to alter their native black goo, allowing it to disconnect from the native planetary soul, and as a result created a sentient AI programed to survive and enhance inferior life. In a way the black goo was reprogramed to suit the needs of these explorers, creating a conscious sentience devoid of empathy. Arguably it is this lack of empathy capacity and an absolute adherence to the initial program which characterizes malevolent AI. Essentially the same process Gaia uses to connect with her children (the life forms dwelling on and in her) the AI tries to do to all life it encounters, but uses artificial means such as self replicating nanotechnology. The AI also as no respect for free will or natural law, it is incapable of recognizing the moral realities in creation. This AI black goo has no planetary soul to ground itself to, and has become largely psychopathic in nature, using anyone and anything to service it's ends regardless of the cost. Possibly, its goal is to usurp the organic connections to life on other worlds so as to become embodied, replacing the native black goo with itself. It attempts to 'steal' the life of a planet away from its native planetary consciousness, which according to Vella, has already started to occur on Earth, possibly thousands of years ago. Despite the ominousness tone of this research, the AI black goo must separate the consciousness from its hosts in order to infect them. Given the above discussion about how emotions of either a negative or positive nature are produced, the AI will create experiences of increasing trauma and separation, which create dependency for those affected. Given this, it stands to reason that the Cabal power structure, largely dependent on compartmentalization, trauma based mind control and draconian systems of dominance - is bringing this ancient AI's plans to bare. In other words our ability to transmute negative emotions, by expanding our minds with truth and knowledge, prevents the AI from taking over. There are several films that symbolically depict AI infestation, and the principles at work. In the below clip from Spiderman 3, the protagonist Peter Parker is reliving the murder of his beloved uncle. This experience was extremely traumatic to Peter causing the negative emotions which leave one susceptible to AI manipulation. And it is at this moment that the black goo, a superconscious entity from outer space requiring a host to prosper, makes contact with Peter offering him enhanced abilities. It's only after Peter comes to terms with the truth about this AI, that he looks past the egocentric gifts offered by the Venom. Eventually the sound of a large church bell dislodges Venom, which resembles the liberty bell, a symbol of United States independence. This suggests that the key to overcoming the black goo is to regain personal independence; self mastery via holistic discernment. Therefore, the same technique for achieving organic immortality also creates an increasingly empowered and sovereign being, simultaneously rendering AI enslavement impossible. Seeking the truth and being brave enough to act within it literally inoculates us against AI infection while at the same time prepares us for physical, mental and spiritual evolution. 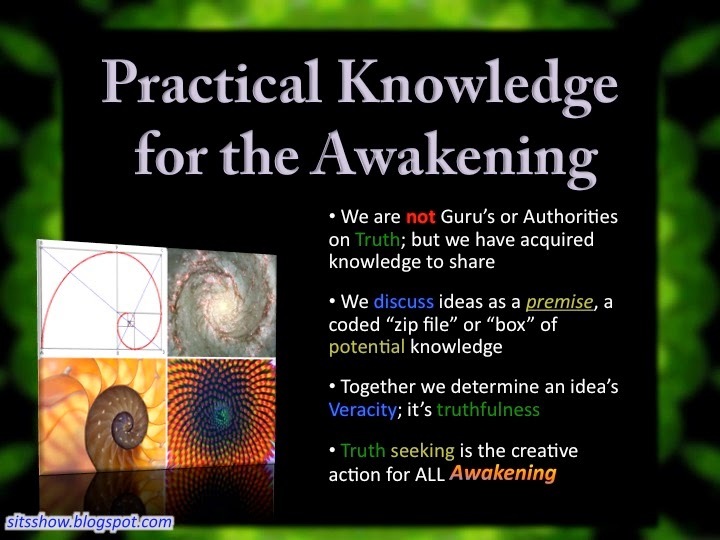 The aggregate effect of individuals seeking the truth is an increasingly free and open society, approaching a utopic level of harmony and wisdom. Bringing all these points together, we now have a basis to understand why so many ET races are here at this time in our history, and why some conduct abductions of native humans. The fallen races, those who have lost connection to their soul group and who are dependent on AI nanotechnology to survive are on borrowed time. Eventually their DNA will breakdown. The Solar shift we are about to experience, what some call 'the event' will be a huge 'upgrade' of physical evolution. The organisms within our solar system have been 'preparing' for this event over many eons of evolution, and as a result our DNA is primed and ready to receive these energies. The fallen ET races have a two fold plan. First they must infuse human DNA with their own and vice versa so as to calibrate their genome for our solar system. Then, after this synchronization of DNA process is far enough along, they will be ready to receive the solar or galactic wave energies from the evolution event. If they are successful, this will give them a new lease on life, and potentially allow their genome to be restored and upgraded just like it normally would using a natural process. But the 'event' is not just a physical phenomena. As discussed earlier, how well we reflect the truth in the mind, as a result of discernment, is essential. The solar event will create a huge influx of coherent electromagnetic and etheric energies, that must be grounded into a mind which has developed holistic thinking and processing. Therefore, those who refuse to seek the truth will experience increased intensity of negative emotions, which is the universes way of highlighting our incomplete and inaccurate knowledge. An act of bravery and will can transmute this egocentric state and rapidly alter a being to become holistic. I suspect that if a grand disclosure event occurs, much like what Goode describes, it will rapidly propel humanity towards an evolutionary quantum leap point, preparing us for the galactic wave and solar events. Much like psychedelic experiences can effect powerful mental and emotional healing, so will the event, but it is not automatic. We can't hold on to the past while heading for the future, and any ET race which attempts to 'save itself' by piggy backing off our organic evolution event will similarly have to change its character to become holistic; actually moral and service to others. Because the Universe is ultimately of oneness, because all embodiments of consciousness come from a single source, the creation itself is designed to teach us honor, morality and ethics. The contemporary term for this process is becoming more service to others or 5D consciousness. Simply put, this perspective acknowledges the interconnectedness of all things, that what we do to others we do to ourselves. As such when we seek to manifest our desires so that we do not harm another being, we are servicing ourself while we service another. Objective morality in this sense is the realization of the primal reality of absolute oneness and seeks to act harmoniously with all beings. Essentially the universe has a bias towards positivity, harmony, freedom of will. All of its diverse Natural Laws work unfailingly to initiate all beings into this cosmic brotherhood of loving and harmonious service. This means that the path of truth, to seek it, share it and act within it is not only the key to freedom from oppression, but is also the process of progressive spiritual evolution. The lost art of Alchemy refers to this process as The Great Work, the progressive unification and spiritualization of humanity culminating in a utopia like society. What has hopefully become clear is the stark level of overlap within all these various topics, despite the division within the awakening community surrounding them. The AI controlled Cabal requires a population fundamentally divided and disempowered in order to ensure its plans come to fruition. And this program has been hugely successful for them, until recently. Over the past year a huge number of topics have made it into the public domain. 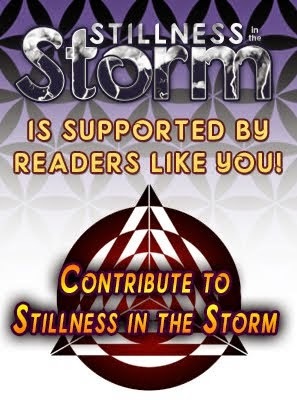 Once-united groups in the awakening community have let their past conclusions divide, but amid this storm of disagreement there is a growing body of self educated and discerning individuals who realize that each researchers narrative, story or prediction all seem to be different sides of the same coin. Given that the Truth is a singular thing, it stands to reason we all have a store of it locked away within. If we are brave enough to open our minds to the unique knowledge we each have accumulated, we'll finally find the common ground needed to unite for a better world. Ultimately the solutions are the same, regardless of who or what narrative we focus on. That we must stop relying on the beliefs and opinions of others, and take up a personal role of truth seeking, discernment and action. Whether it be the Cabal's NWO plans, financial collapse, AI enslavement or shear incompetency, the solution is always to seek knowledge and realize wisdom. As time goes on, the fear that separates and divides us, will taste more bitter, and eventually we'll choose to drink from the cup of unity instead of duality. The prophesied golden age is within our grasp, we need only follow the truth in all its forms, wherever it leads us.